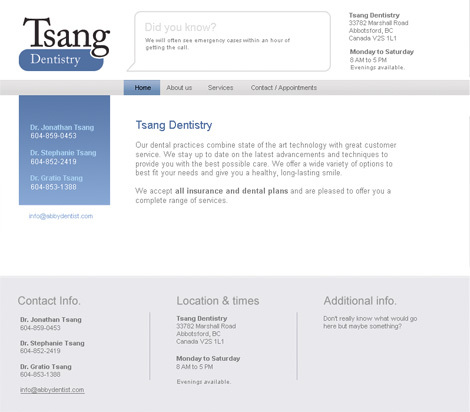 Tsang Dentistry is a local dental office who came to us in search of a logo. We produced a few concepts for them. We also put together a website design for them. But what's really neat is that we had the opportunity to create a poster for them (it was for display at a Judo tournament). 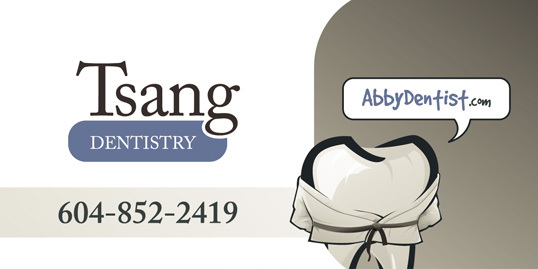 Oh, and there were various newspaper ads that we designed.